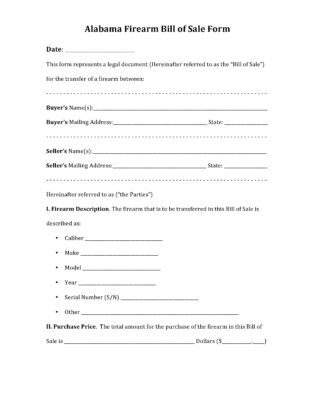 Alabama Firearm Bill of Sale Form is a bill of sale between the seller and the buyer of a firearm. 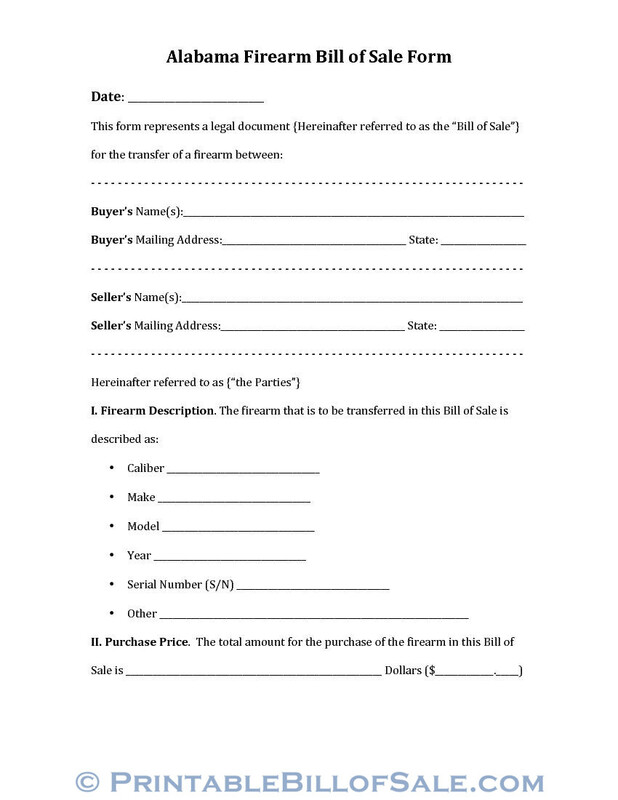 Alabama Firearm Bill of Sale Form is a legal document accepted by law. It contains all details regarding the seller, the buyer, and the firearm. The seller and the buyer put their signatures before a notary public. The notary public confirms that he has witnessed ample proof of their identity. The notary public confirms that he has witnessed all the details produced in the bill of sale form, and found it correct according to the document produced before him. The date at which this sale is effected is mentioned at the beginning of the bill of sale. Name of the buyer along with his full mailing address is given. Name of the seller along with his full mailing address is given. 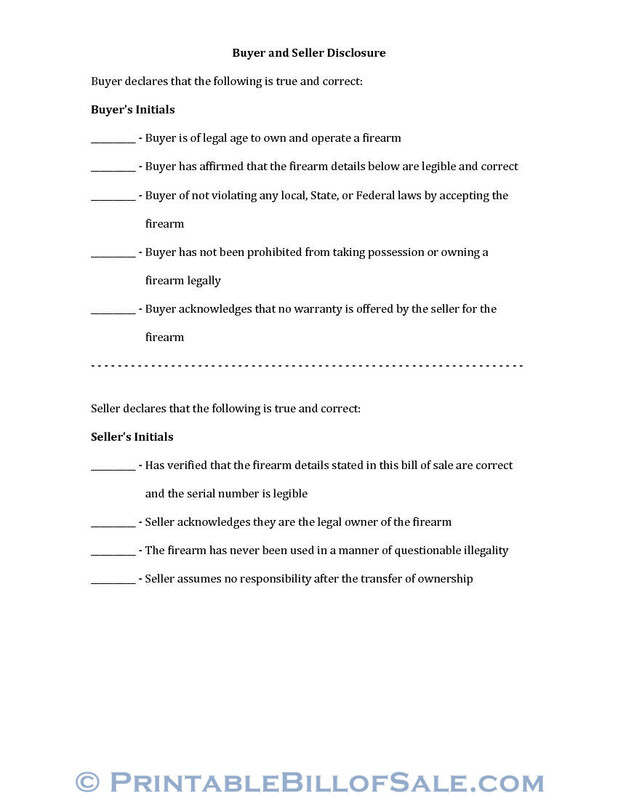 A full description of the firearm, including caliber, make, model, year, and serial no. is given. Any other details not covered in the above columns are to be given in a separate column provided for this purpose. Total purchase price and the form of payment is given in the relevant columns. It is also mentioned whether the payment is made in full or by parts. And if by parts, what is the down payment, and the schedule of payment for the remaining amount. 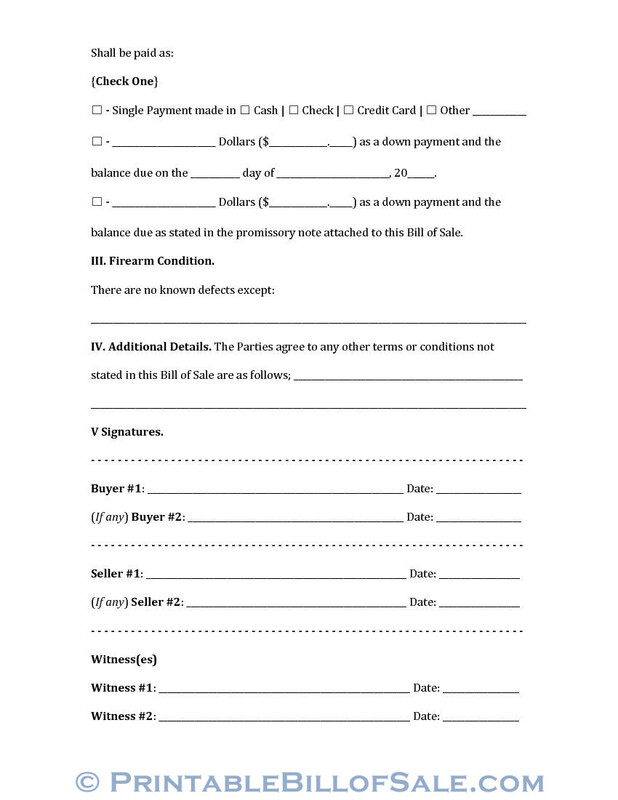 A promissory note regarding the remaining debt is attached to this bill of sale. The condition of the firearm confirming that there are no known defects. If there is any, the details to be given in the column provided for this purpose. There is a column for any additional condition which is not covered in the above columns. Signatures of the buyer/s and seller/s are affixed. Two witnesses sign this bill of sale. In the end, the acknowledgment by the notary public to the effect that he has witnessed the sufficient proof of the identities of the buyer and the seller in the shape of valid official document/s. The notary public also confirms that the contents of the bill of sale form are correct to his best knowledge. As a confirmation of this statement, the notary public affixes his signatures. He also affixes his official seal to make the bill of sale form a legal document. 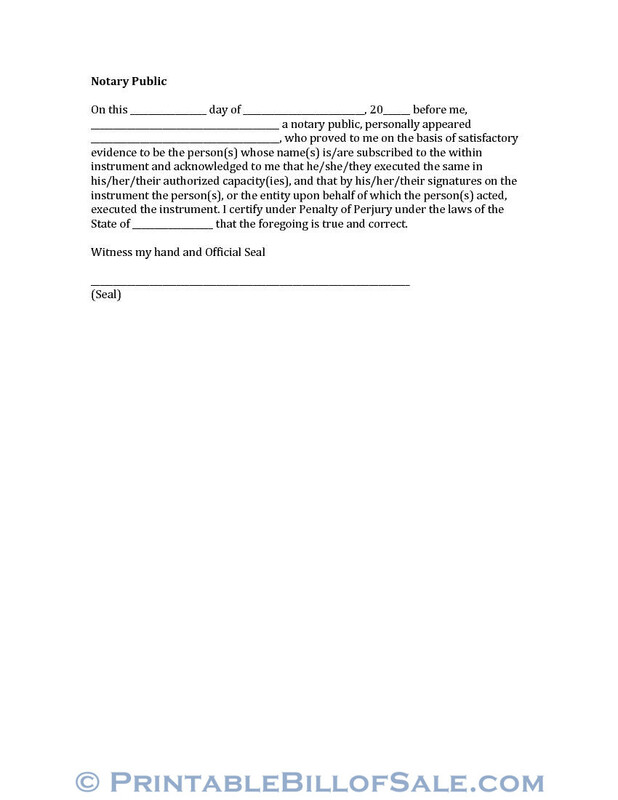 Copyright © 2019 Printable Bill of Sale Forms. All Rights Reserved.